Owing to the expertise of our skilled professionals, we are able to manufacture, supply and trade Double Seal Ball Transfer Units to our clients. The offered ball transfer units are precisely designed and manufactured in accordance with set industrial quality standards. At the unit, we use quality-approved metal and progressive techniques for the production. 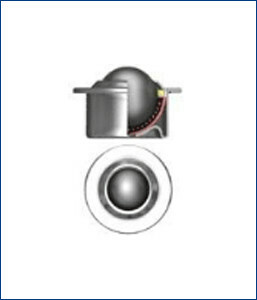 Industrial sectors where this seal ball is used are power plants, automobile units and FMCG. Besides this, clients can opt for customized solutions as per the need and demands.